Google Instant – Warning Contains Adult Content and a Disappointing Level of Service. Last month I published a small post about the launch of Google instant and the possible effects it might have for paid search. But yesterday I read an amazing article by Danny Sullivan of Search Engineland about some bizarre results that Google presents to people on via it’s Images search function. If you are of a delicate disposition or easily offended, PLEASE stop reading now! I’ve added my screen grabs so that you can see he didn’t make this up. But try it yourself! 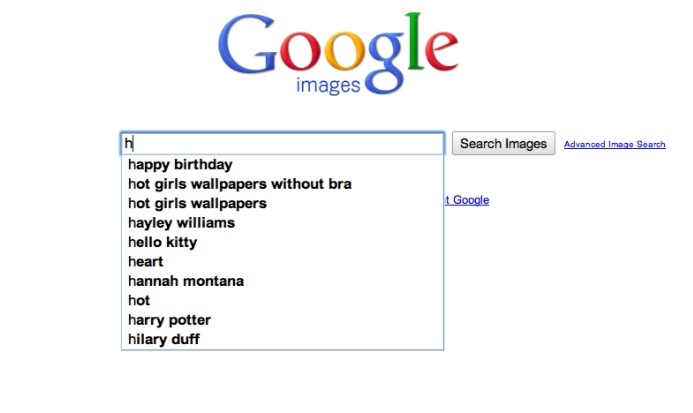 So images of girls, girls without dresses and hot girls top the lists for Google Image search. Of course, we shouldn’t really be surprised by this. And Danny Sullivan gives some expert insight into how users can change their settings to protect themselves and others from these results. That’s not the purpose of this post. The point of this article, (apart from being astonished at these results) is that it serves as a warning to businesses generally against over automating its processes. 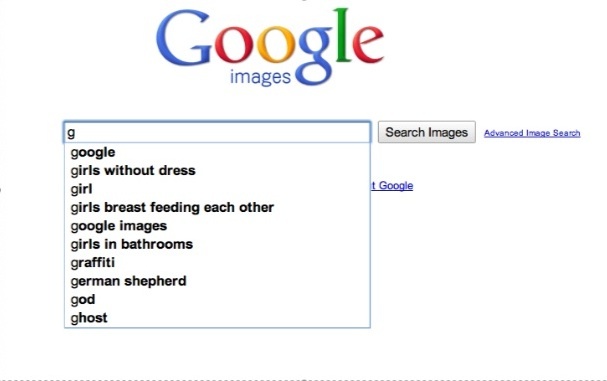 OK, so this is an extreme example, I’m not suggesting Google employ millions of people to tailor search results for its users; its algorithms stand by each of us every day with no complaints whatsoever. But for those of you who have an FAQ’s section on your website, or a CRM system with 4 options – none of which answer my question – beware! What people really crave when interacting with a company or organisation is a human reaction and the bar has been raised! Fall beneath this bar at your peril.